This product is made of high quality Acrylic, attractive and durable. Customized with address number, room number. Specify up to 4 numbers. (Please choose numbers from 0-9). The font and color are as images shown. 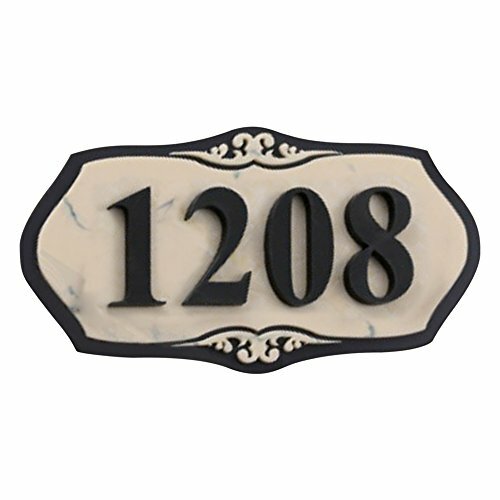 The address plaque is self-adhesive and can be reinforced with glass cement(NOT included). Suitable for indoor and outdoor use. Waterproof and weather-resist. It is the most effective ways to promote your business! The address plaque comes with a high quality self adhesive backing, easy to peel and stick. It also can be reinforced with glass cement(NOT included).